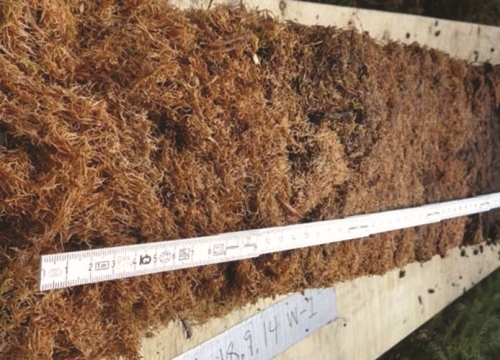 Peat moss studies are challenging contemporary thinking on heavy metal levels upstream of Fort McMurray and downstream from industry. Dr. William Shotyk has been studying lead in the atmosphere for over 30 years. Through peat bogs in Switzerland’s Jura Mountains and ice cores in the Canadian arctic, the renowned geochemist has archived deposits as far back as 15,000 years. Over the past five years, the University of Alberta professor has focused his research intensively on Northern Alberta through the support of $2.1 million in funding from Alberta Innovates. We spoke to Dr. Shotyk about his research findings. Can you explain what you discovered during this five-year research project? Atmospheric lead contamination has been in decline for decades; it reached its peak 40 years ago. Today we are at a point where we are more or less back to natural levels. If you look at the moss collected around oil sands open pit mines, it has a ratio of lead to thorium which matches values seen in Swiss peat bogs between 5,000 and 8,000 years ago. If there was any lead coming from that industry, it would be preserved in these peat cores, it’s just not there. This lack of contamination is testimony to decades of successful international efforts to reduce emissions of this toxic metal in the atmosphere. It’s a really good news story; perhaps it caught a lot of people off guard. Moss is a cool plant. It has no roots and survives on inputs from the atmosphere. By measuring the contaminants in moss we know what’s in the atmosphere. 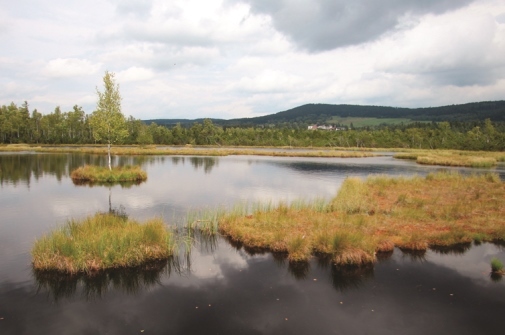 Because bogs are waterlogged, organic matter accumulates faster than it breaks down. Moss tells us what’s landing on the surface today. If we dig down through the bog, collect core samples, freeze them and precisely slice them, we can reconstruct what air was like in the past decades, centuries, and millennia. Where did you conduct your research? It has been suggested that industrial development of the oil sands is a significant source of lead in the environment. We collected core samples from five bogs within 70-kilometres of open pit bitumen mines and upgraders, with the nearest just 11-kilometres away. We work out of the SWAMP (soil, water, air, manure and plants) Lab at the University of Alberta. It’s a $5 million ultra-clean research facility for studying trace metals in soil, water, air, manure, and plants. It’s metal-free and made out of plastic. We can measure lead down to levels lower than almost any other lab. You also studied the nearby Athabasca River, tell us about that work. We’ve done two intensive 15-day trips on the Athabasca River. We were out from early in the morning to late in the evening with ultra-clean bottles, filters and syringes and sampled upstream of Fort McMurray and downstream from industry, in the middle of the river in front of tailings ponds and upgraders, looking for potentially toxic metals. All of the heavy metals we recorded are present at extremely low levels; no more downstream, below the industrial activity, compared to upstream. What’s happened to shift us toward a downward trend? The introduction of unleaded gasoline — I know that quite well as I still have my old 1976 GMC Sierra pickup truck. On the sun visor it says the “vehicle is not equipped with a catalytic converter and can use leaded or unleaded fuel.” Lead contamination has been in the decline since we started using unleaded fuel. The health of hundreds of millions people worldwide was affected by leaded gasoline. This decline is a cause for celebration. What other findings did the research produce? A companion paper shows all the other heavy metals are in decline too. More good news. These metals in the air have been in decline for decades: silver, cadmium, antimony, and thallium. Because leaded gas contains lead, and none of the other stuff, there must be something else going on. Our guess is passage of the Clean Air Acts, in the U.S. and U.K., and similar legislation elsewhere in the mid 1950’s has caused an industrial behavior change that led to this decline. What value did Alberta Innovates bring to the project? They made this happen. I have never before been so well supported by a research funding organization; I’ve never had this much engagement. They’ve wanted to see us succeed from the beginning, so that level of support has been fantastic.